Your Scrabble Slam! Card Game box should contain 55 Scrabble Slam cards, which includes 53 "Letter" cards, and three "Blank" cards. 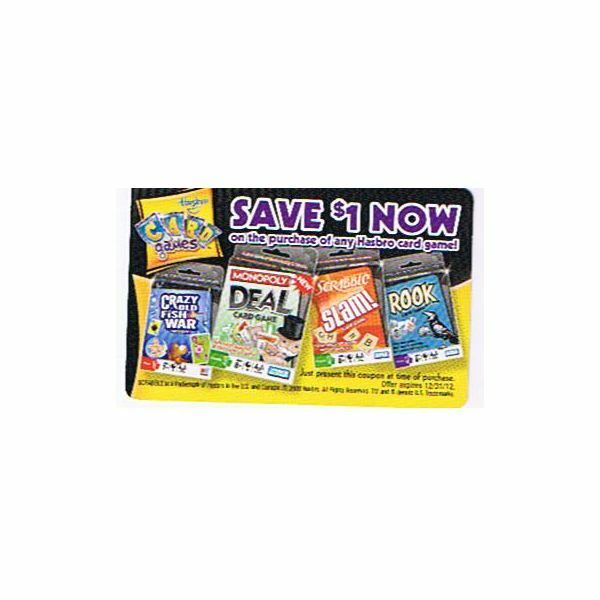 You should have one Scrabble Slam instructions sheet, a plastic case, and, if you are lucky, a $1.00 off your "Next Hasbro Card Game Coupon." Not all of the boxes contain the coupon, but promotional boxes are clearly labeled on the upper right hand side of the box, so look for a yellow "$1" symbol when you buy your game. The 1.00 off coupon is good until December 2012. I plan on using mine to try one of the other Hasbro Card Games I haven't played yet, like Sorry Revenge or Yahtzee Hands Down. The Scrabble Slam! instructions are easy to follow, with simple game-play and mechanics. 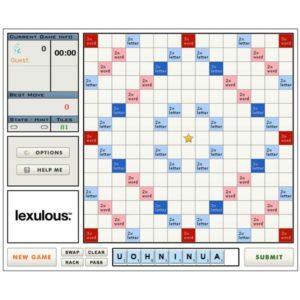 Children and adults should be able to play this word game together without much difficulty. The game is recommended for 2 to 4 players. Have all the players sit at a table or gather around another play surface. One of the players chooses a four letter word, and that word is constructed at the center of the play surface using letter cards from the deck. Distribute the remaining cards evenly among all players. 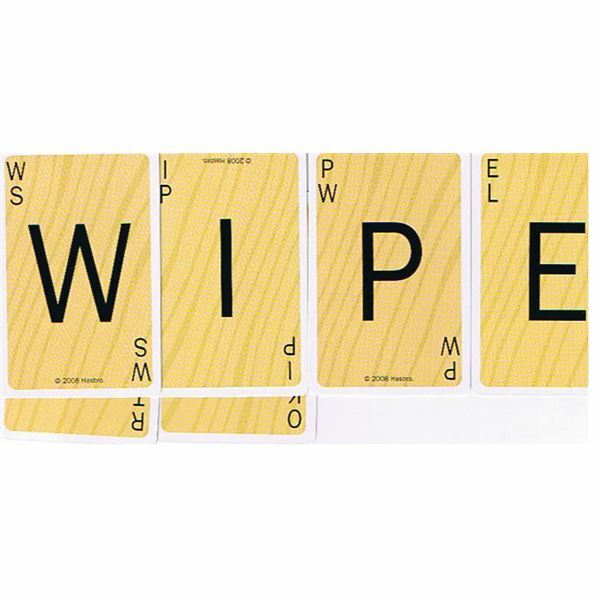 You will notice that the Scrabble Slam cards have no traditional back or front–that is, they have letters or blank tiles on both sides of the card. Instead of focusing on the large letter printed on the cards, look instead to the upper left-hand corner, where you will see two small letters printed. These letters represent the letters on the front and back of your card, so look to the corner to find your letters, instead of clumsily trying to flip the cards over. 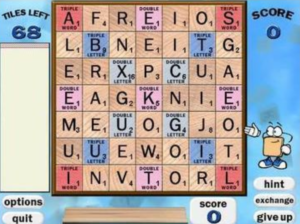 How to Play Scrabble Slam! While the official Scrabble Slam rules suggest that you begin the game by yelling, "Ready, Set, Slam!" You can just as easily say "Go," or "Start," or "ooga-booga," for that matter. Just designate to all players that the game has started. 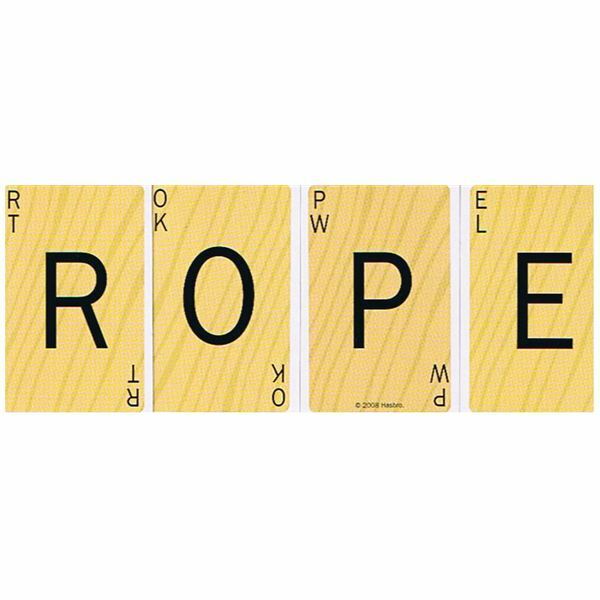 "ROPE," as illustrated in the photos to the left, a player could yell out, "RIPE," put their "I" over the "O," changing the word. 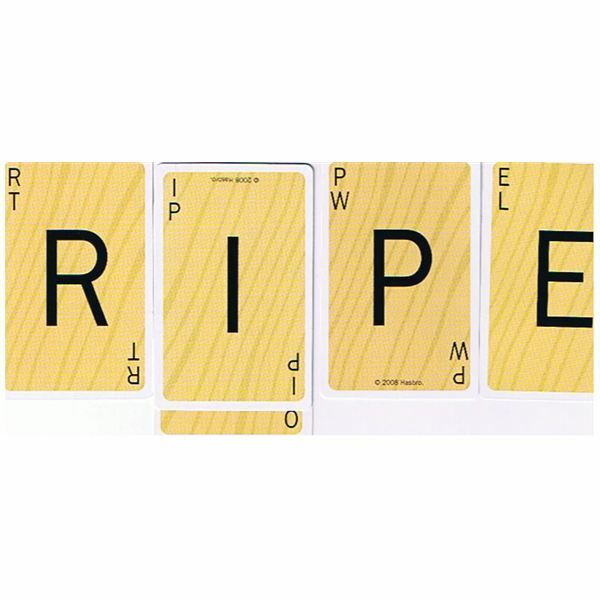 Play continues in this manner, so "RIPE" might quickly become "WIPE." There are no turns. All players are simultaneously attempting to make changes to the word on the board. So you will need to act quick, yell, and slam your cards down before another player changes the word. Words must remain four letters long. Words may be repeated in a match, but you may not recreate the same word that is presently in play. That is, you can't put another "W" on top of "WIPE," because it does not change the word. The player to run out of cards first is the winner. In the event that no one is able to make a play and player still have cards in their hands, the player with the fewest number of cards remaining in their hand wins. Blank cards are wild, and they can represent any letter that you wish. However, once you assign the blank a letter, it remains that letter and loses its wild status. 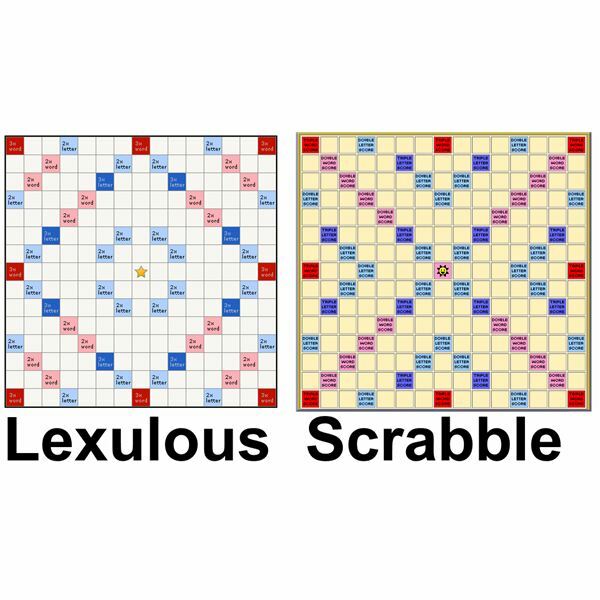 The rules for acceptable words in Scrabble Slam are the same as traditional Scrabble: no proper names, place names, acronyms, hyphenated words, prefixes, suffixes, or words containing apostrophes may be used. In case there is a wise guy that might try to pass off fake words, misspelled words, or unacceptable slang (think RAWR), a player may dispute a word at any time. In this case, play stops, and the word is looked up to settle the dispute. If the word is unacceptable, the player who played the word must take the card back into their hand, but there is no further penalty, and play resumes.